MADISON, Wis. – Americans for Prosperity-Wisconsin (AFP-WI) on Friday announced a new $1.3 million ad buy to supplement its grassroots efforts urging Wisconsinites to vote against Tony Evers in the race for governor. The 30-second spot underscores Evers’ support for policies that would mean higher costs for road construction and his openness to increasing the gas tax by a dollar more per gallon. 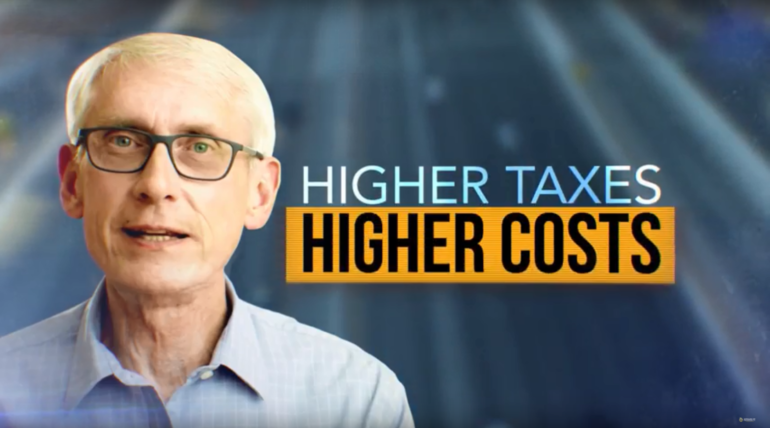 When asked about his support for a dollar per gallon gas tax hike, Evers said “everything is on the table.” When asked about how much of a gas tax increase he would consider too much, Evers said “I have no range.” The seven-figure investment is AFP-WI’s second television ad opposing Evers and will run on cable, broadcast, and digital platforms throughout the state. For working families, every dollar matters. But with Tony Evers, we could pay more – much more. Evers is open to gas tax hikes. Even a dollar more per gallon. New tolls too. He says everything is on the table. Who’d benefit from Evers’ higher taxes? Good question. Because Evers’ policies will drive up the costs of construction. Higher taxes. Higher costs. We can’t afford Tony Evers. Evers is open to new tolls.